Metropolitan Electricity Authority’s electric power system network serves Bangkok and the neighboring areas of Nonthaburi and Samut Prakarn. The network includes more than 148 substations and terminal stations. 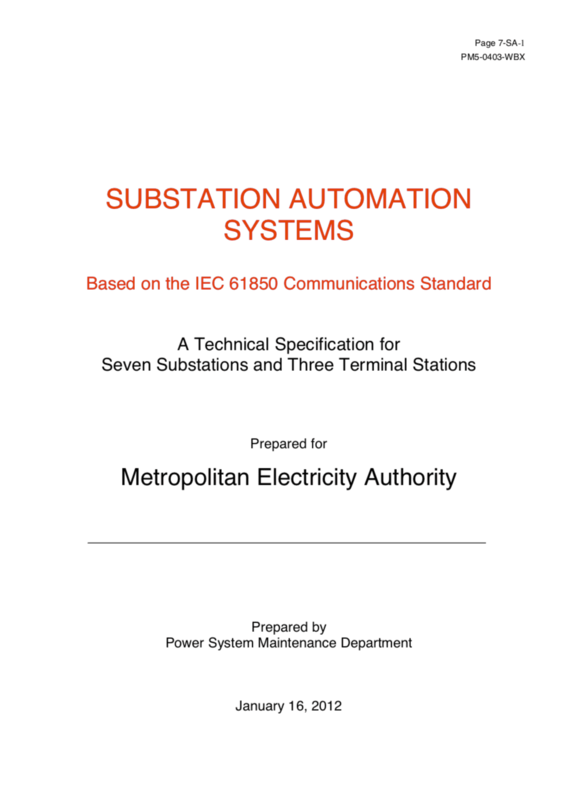 Metropolitan Electricity Authority (MEA) has determined that the IEC 61850 communications standard and an Ethernet Substation LAN shall be used as the cornerstones of the technological infrastructure. What is fundamentally required is a migration plan that allows MEA to begin reaping the benefits of an IEC 61850-based architecture, while recognizing that the realities of priorities and resource constraints will stretch the full conversion of these stations over a period of years. The full extent of this plan is illustrated by the block diagram in Figures 1. Figure 1 shows the scope of Substation Automation (SA) configuration governed by this specification. Bay Control Units, Protection Relays and IEDs are included, the core architecture for an IEC 61850-based system is introduced. Figure 1 illustrates the eventual goal: a flexible, capable secondary system environment that is fully networked and responsive to evolving business needs. Two redundant Substation LANs shall provide the principal means for data exchange among intelligent station components at both the station and bay levels. 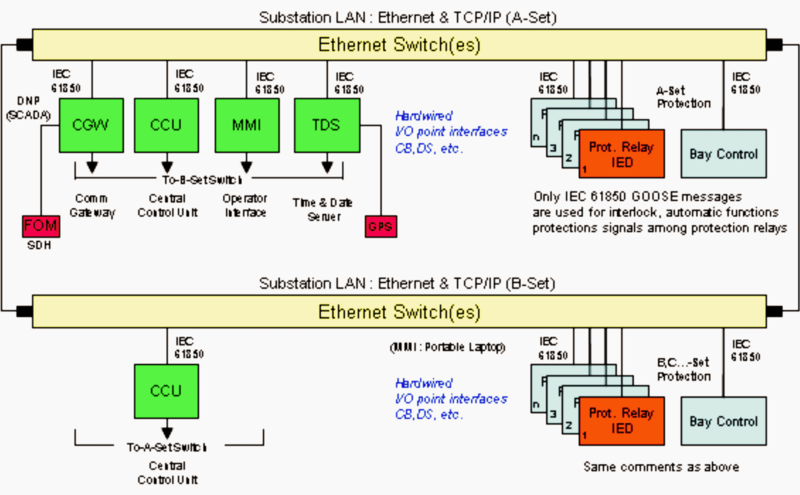 Each LAN shall consist of Ethernet network segments, Ethernet switches, and TCP/IP communications software that conform to the IEC 61850 network profile. Fiber-optic network media shall be used throughout the station facility. Copper media may be used within station level enclosures (CCU, CGW, MMI and DTS). Where two ports are used, one shall be connected to each Substation LAN. The way these two connections are used is described under the ‘Dual Substation LAN Connections’ heading. Where one port is used, it will be connected to an assigned Substation LAN, as determined by system design. MEA has two SCADA/EMS systems that are presently the only enterprise clients that gather data from stations and provide control over their operation. Their primary objective is to provide operational reliability for the power system. 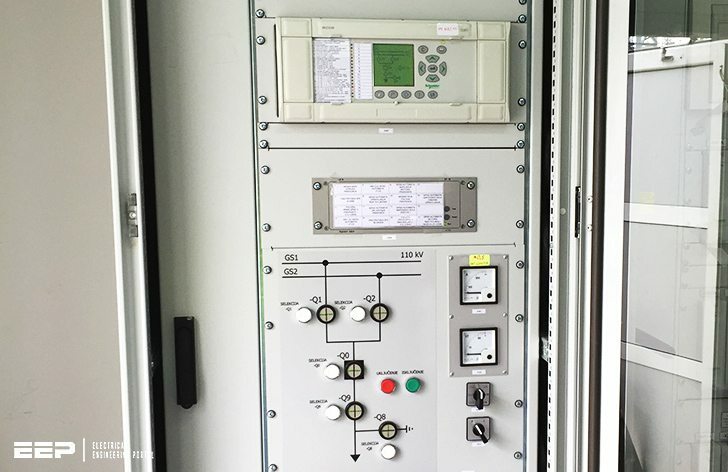 They achieve this by monitoring power system data, status for various devices, events, counters that register energy transfer, and by controlling devices such as circuit breakers, disconnecting switches, and transformer OLTCs. Only one SCADA/EMS system has control and data acquisition responsibilities for any given station at any given time.